It’s hard to imagine a tradition so old that we don’t really know when or where it began… but that is exactly the case of the snowman. For thousands of years children and adults have been packing snow, rolling it into large mounds and then stacking them to form bodies like their own. They would take hats, coats, sticks, and food to create an anthropomorphic pile of snow. The definite history of the snowman isn’t perfectly clear, but Bob Eckstein set out to discover the ancestry of Frosty. 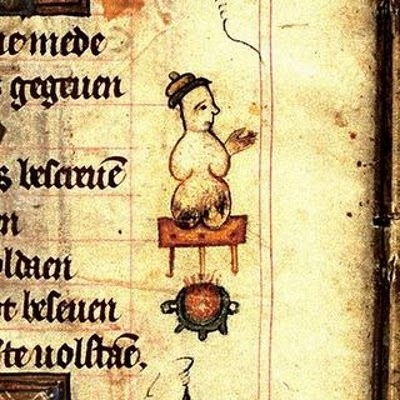 In Eckstein’s book The History of the Snowman he reveals that the earliest documentation of a snowman was a tiny illustration in the medieval devotional Book of Hours. The Book of Hours was written in 1380 and is currently stored in the National Library of the Netherlands. In the book sitting beside a fire is a snowman wearing a hat. The exact meaning or thought behind this picture is unclear. During the Middle Ages snowmen were something of a phenomenon. Not only were children making snowmen, but adults were using the figure as a means of expression. Outdoor galleries were set up to display the different artistic takes on snow creation. People would walk about town discussing the merit of each frozen display. In 1494 a young up and coming artist by the name of Michelangelo was commissioned by Piero de’ Medici to create a snowman for the ruler. 17 years later the city of Brussels would use the cheerful tradition to make a point. The Miracle of 1511 began after the six-week long Winter of Death. The people of Belgium were starving and freezing while the ruling House of Habsburg lived in opulence. 110 satirical and extremely obscene snowmen and snow-women were displayed to decry the unjust treatment of the peasants. A snow-nun seducing a snowman and a naked snow-boy urinating into the mouth of a drunken snowman are just a few of the more outlandish creations. Unfortunately for the people of Brussels – when the snow melted it caused a massive flood. America was also involved in their own snow covered controversy. The Schenectady Massacre of 1690 is one of the most horrific events in American history. The Dutch Fort Schenectady was a remote settlement that lived in everyday fear of attack. A brutal snow storm pounded that fort and its doors were frozen open. The unfortunate soldiers asked to guard the gates decided to instead build snowmen and dress them as guards. 210 Canadian and Native American soldiers were not fooled. 60 villagers were left dead and the fort was ransacked. As society progressed the snowman began to take on a more whimsical nature. 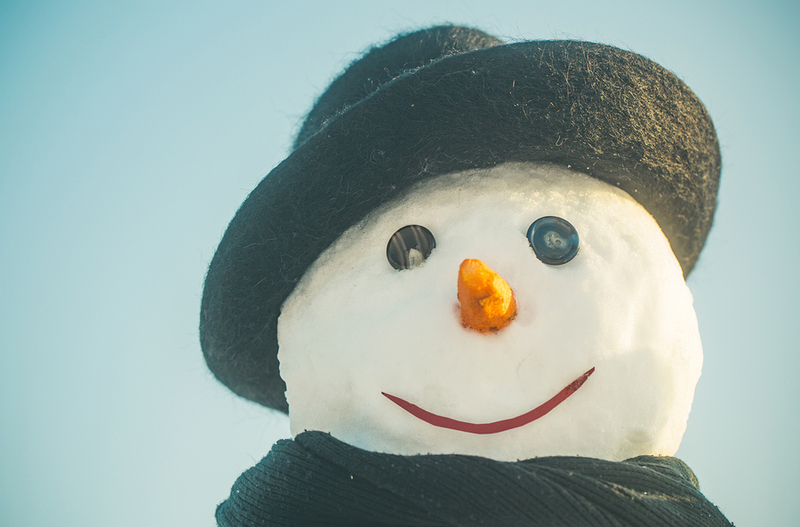 In 1818 Zurich, Switzerland began celebrating the beginning of spring by blowing up snowmen. This tradition is still alive to this day. On the third Monday of April a cotton snowman is paraded through the city stuffed with dynamite to the center of town where it is destroyed. With the help of Prince Albert and Hans Christian Andersen, the snowman was given its holiday christening. Prince Albert brought the holiday traditions of Germany to England, while Hans Christian Andersen used his story telling ability to further cement the snowman’s mythos. Many of our famous Christmas traditions come from Germany. The Yule log and the most famous Christmas icon Santa Claus both find roots in Germany. Even Nazi Germany provided holiday firsts. Before Frosty there was Der Schneemann, the story of a magical snowman that gets chased by a dog and eventually melts. The German government and the propaganda machine of the Hitler regime used the cartoon as an example of Germany’s superior artistry. With the success of Rudolph the Red-Nosed Reindeer Jack Rollins, Steve Nelson and Gene Autry made another Christmas classic. Frosty the Snowman peaked at number 7 on the charts in 1950. The musical release coincided with a Little Golden Book released to further propel the marketability of Frosty. In 1954 UPA studios acquired the story of Frosty and created a three-minute short. But in 1969 the good people at Rankin-Bass produced the twenty-five minute classic we know and love today. 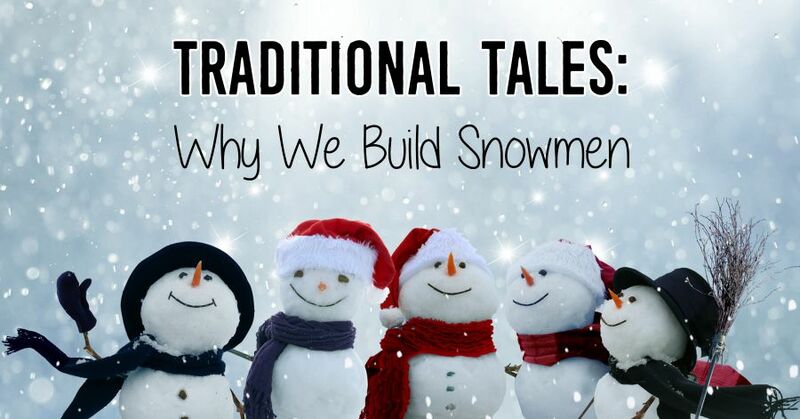 Today’s snowmen are often thought of as a fun family activity or a children’s cartoon, but throughout the ages snowmen have played an important role in society. Whether it’s the Sapporo Snow Festival in Japan or the 122-foot-tall snowlady of Bethel, Maine these creations made of snow are ingrained in humanity. It seems as long as man has walked this earth and snow has fallen from the sky, we have been compelled to create snowmen. Next Next post: Who Hangs YOUR Holiday Lights?